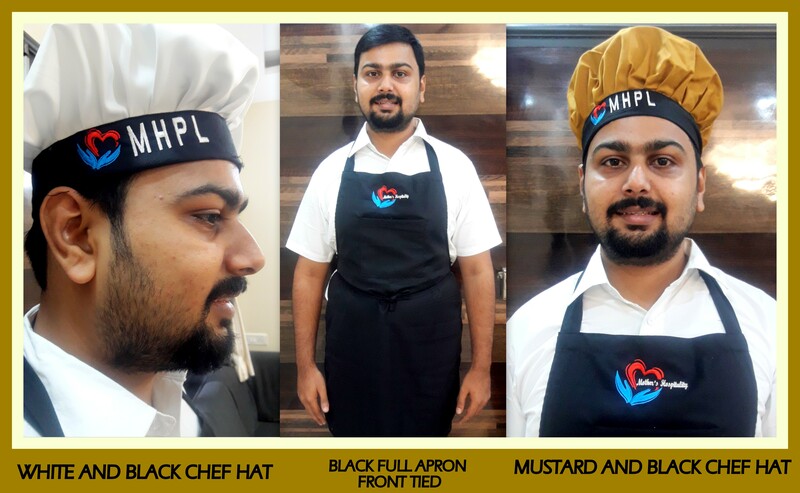 Chef hat makers in Chennai – Varied color and combo !! Material description – Terry Cotton heavy quality double dyed material for Apron, Polyester material for white cap and Terry Cotton material for mustard cap. Additional Description – The color combos can be customized so can we customize the style of the cap and the apron. The logo can be printed as well as embroidered depending on your requirement.